Another day in DC, one more to go. This meeting will wrap up tomorrow afternoon and then I will head home to my lovely home in Hampton and my family. After today’s meetings I headed north on Connecticut Ave to walk around Adams Morgan, another great neighborhood in DC. 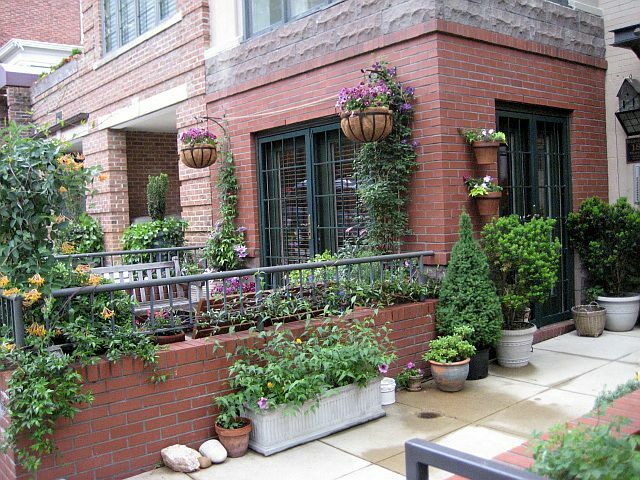 Isn’t this a gorgeous little courtyard garden in the entrance to this row house. I love walking around neighborhoods looking into the houses and at the buildings. I always wonder, Who lives there? What do they do for a living? 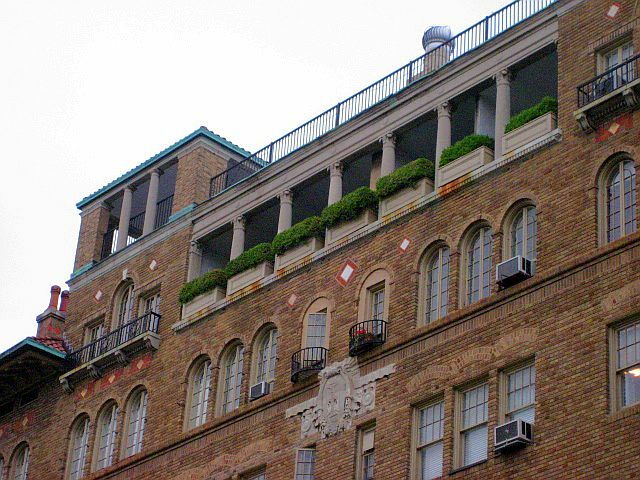 Look way up at these top floor garden apartments. I really wonder who lives there? 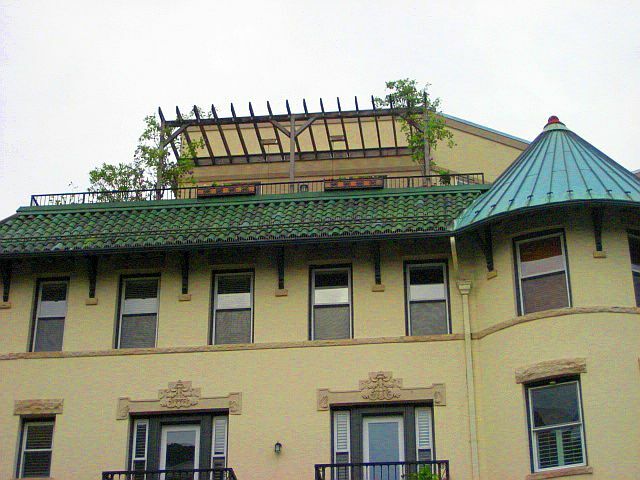 How cool would it be to live way up there and have a rooftop garden. Wow! 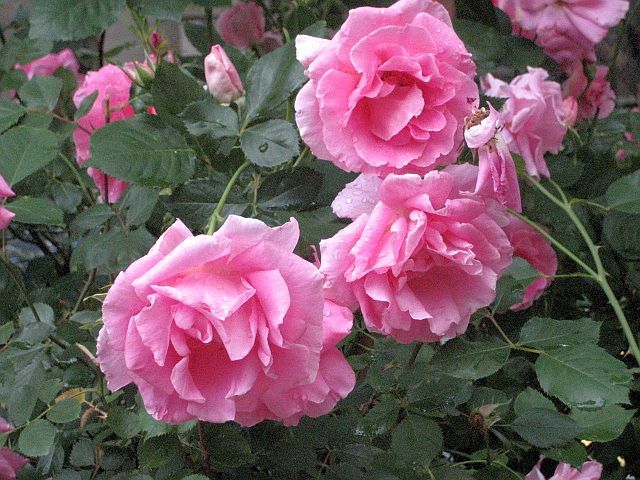 More beautiful pink roses, I was so inspired I went to The Uncommon Rose and ordered some gorgeous heirloom roses for my garden. I love visiting DC, but I can’t wait to head home tomorrow. Miss my sweeties at home. Suzy, those are lovely pics! Now, here’s the bad news. I tagged you. Go to my blog and see what you MUST do. Still be my BFF, Pleazeeee???? Thanks for showing me around DC. I’ve never been there, but I want to now!